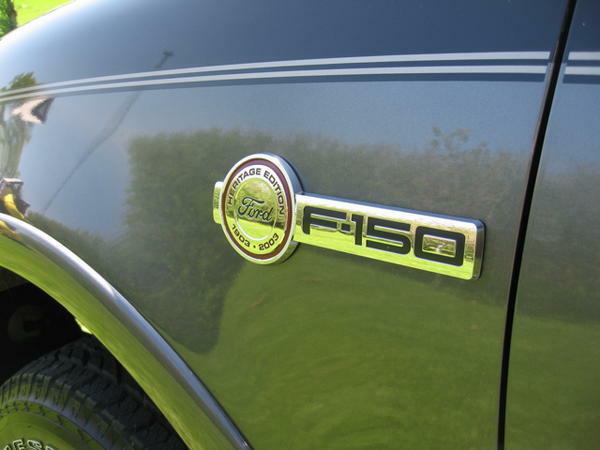 Only 15,000 of these F150s produced; Have you seen one?? 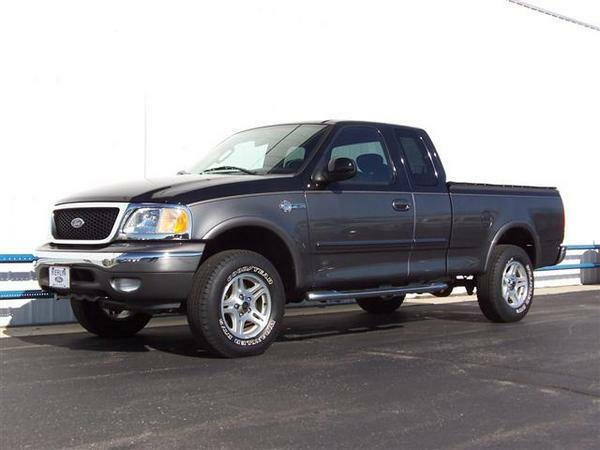 The below is the exact Description and Picture is taken from the Ford 2003 F-150 Showroom Brochure. 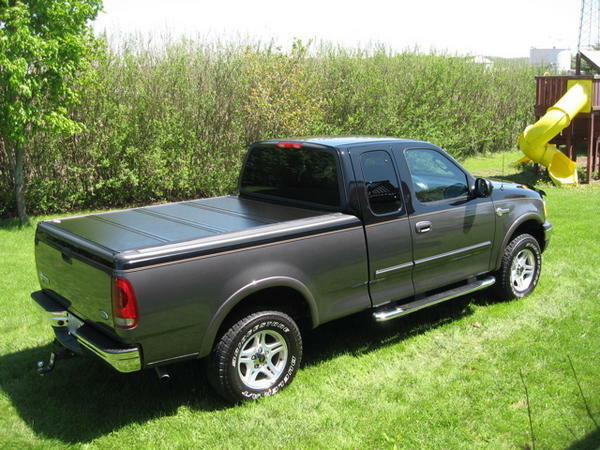 This is the initial post to this thread introducing the limited 2003 F-150 Heritage Edition, as intended by Ford Motor Company. There were only 15,000 of these produced in three different two-toned color schemes. If you have one of these or have spotted one please post here, please post here (pics, experiences, location, mileage, etc., etc.). I am trying to start a thread about this 100th Anniversary F150 ford Produced and see how many can be located. 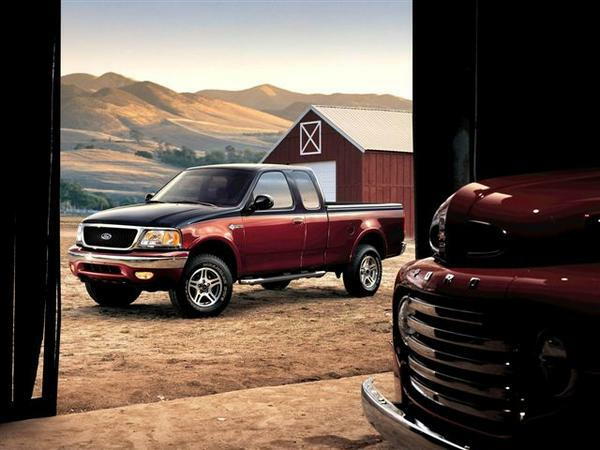 "On the outside, it's a respectful nod to all the F-Series trucks that have gotten the job done, decade after decade. The look is classic, with its two tone paint, special wheels and commemorative badging (a). On the inside, the classic two-tone continues with unique contoured seat trim (b) in a choice of three accent fabrics color keyed to the exterior. It took 100 years to make this F-150 Heritage Edition, but we think you'll agree it was worth the wait." 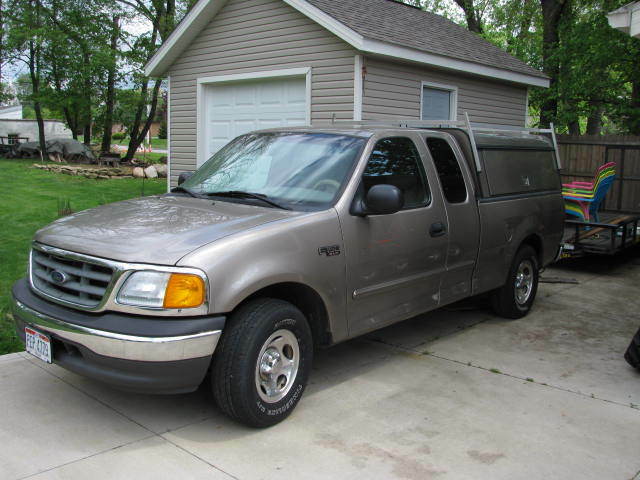 "2003 Heritage Edition F-150 Specifics - Available on 139" WB XLT SuperCab Styleside only. 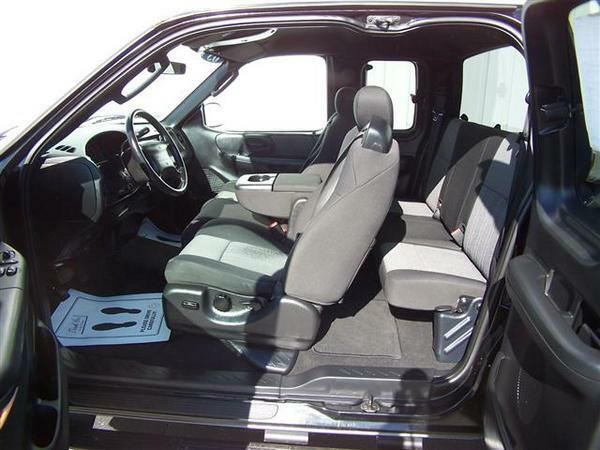 Includes front black 40/60 split bench with accent color inserts (captain's chairs are optional), chrome grille surround with black honeycomb grille insert, chrome tubular cab steps, unique black "F150" front floor mats with rear floor mat, 17" 5-spoke aluminum wheels (4), unique two-tone paint treatment and tape stripe, unique badging, black Ford bedliner, clear lens headlamps, park lamps and fog lamps, and accent colored lower bumper valance." Last edited by miles99; 05-17-2009 at 05:28 PM. As the thread starter, here is mine. Last edited by miles99; 05-17-2009 at 05:31 PM. 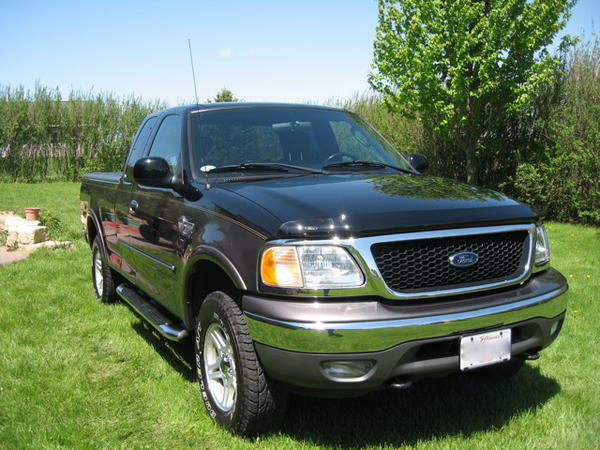 Well I had never seen one of these 2003 F150 Heritage Editions, in person, until I bought mine. Well the other day in a town of 400 people, I actually saw the Black/Arizona Tan color scheme one. I "Inherited" this truck w/144k on it. The original sticker says Heritage F150. Leftover 03's I believe. You are absolutely right in that that was one of the left over 2003s and that they did call them a Heritage. 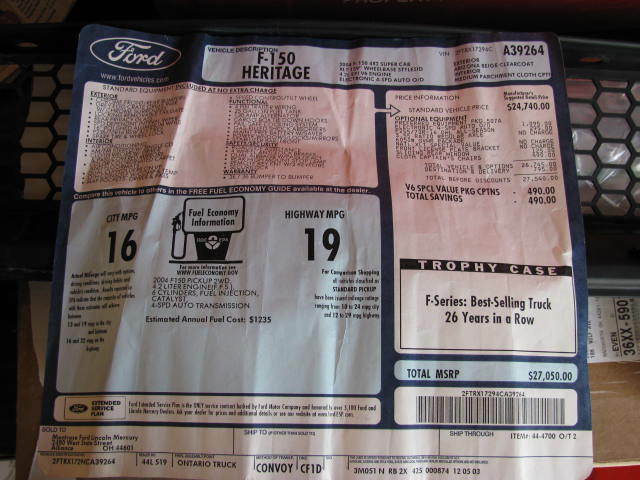 However, that is not one of the limited 15,000 100th Anniversary 2003 Heritage Edition F150s. They were only produced in three different two-tone color schemes and various other features. thats all i found..even did an ebay search..good luck finding the rest 14,996!! i have one here in southern ontario, and in my area alone there is four with the burgundy and black and i have seen one black n grey and black and tan. so that is 6 more accounted for! This is the one a did have. Bought her new in spring of 2003. Had her for 5 years and 90k miles. Traded her in on an 08' "60th Anniversary Edition". Celibrating 60 years of the F series pick ups. I do miss my 03'. There's one sitting on a Used lot in Gloucester VA on Route 17N. Same color scheme as the brochure above. Next time I get over there I'll stop and get the particulars. 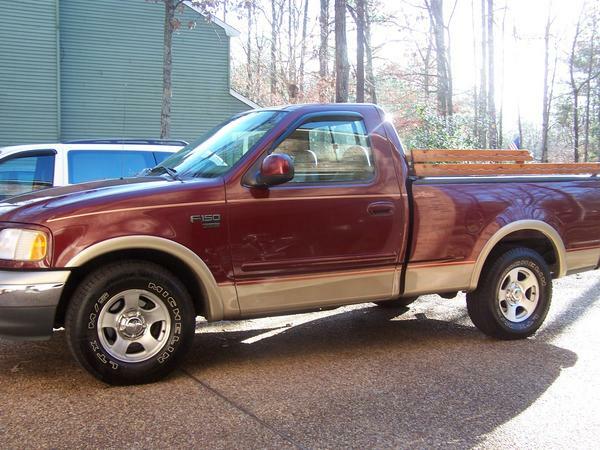 The Heritage Edition is probably the only F-150 I like better than mine. raoul, how come we never hear anything about your truck? 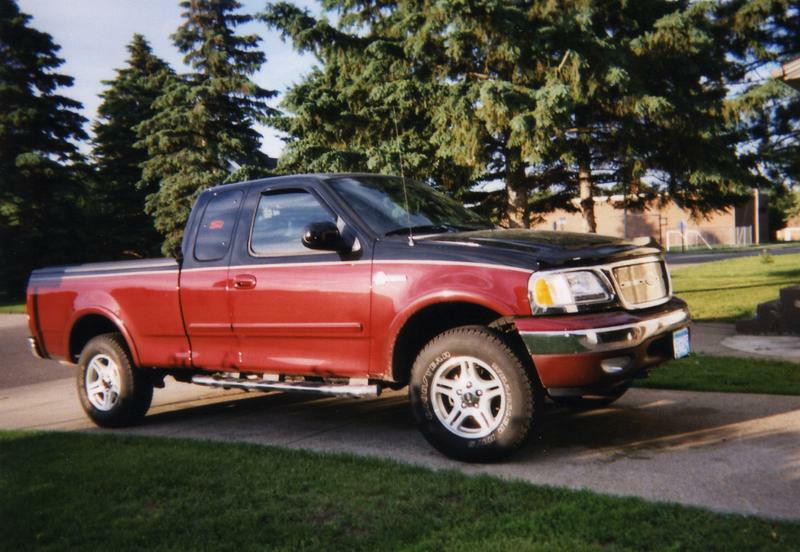 a single cab lariat? i bet that thing would scoot with some mods! There is one in my apartment comlex, south Metro Denver. It is the Black over dark red.